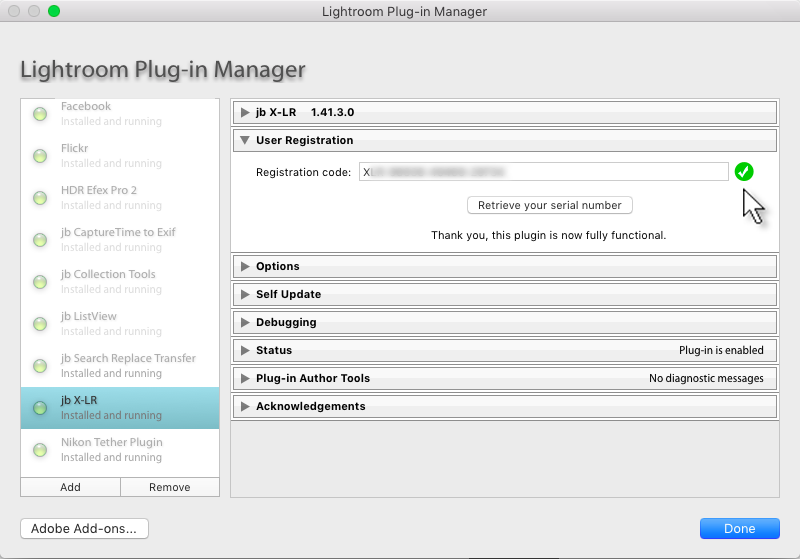 Enter the registration code in Lightroom’s Plugin Manager. 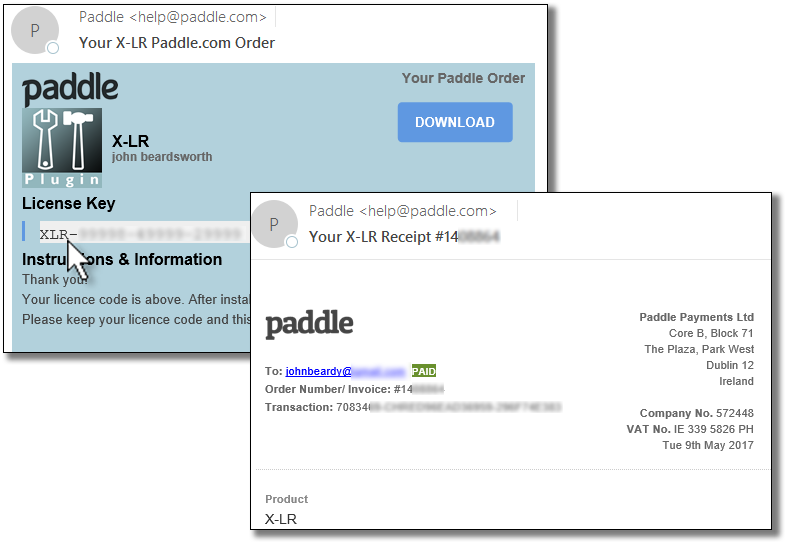 The green check mark should become visible when you enter a valid code. If you cut and paste the code, be careful not to include a space at the start or end of the code. The code applies to all your computers. I don’t charge for updates of the plugin, either for new cameras or for new versions of Lightroom.